Green City Works transformed an unused lawn into a vibrant garden that features more than 2,000 native perennials, attracting butterflies and birds. Green City Works maintains NBME’s private courtyard and planting beds along Market Street, providing general landscape maintenance, seasonal plantings and irrigation system services. Green City Works runs landscaping at Wistar Institute, providing general landscape maintenance, seasonal plantings and irrigation system services. Green City Works will assume responsibility for landscaping and maintenance at Brandywine Realty Trust’s Cira Center this year. 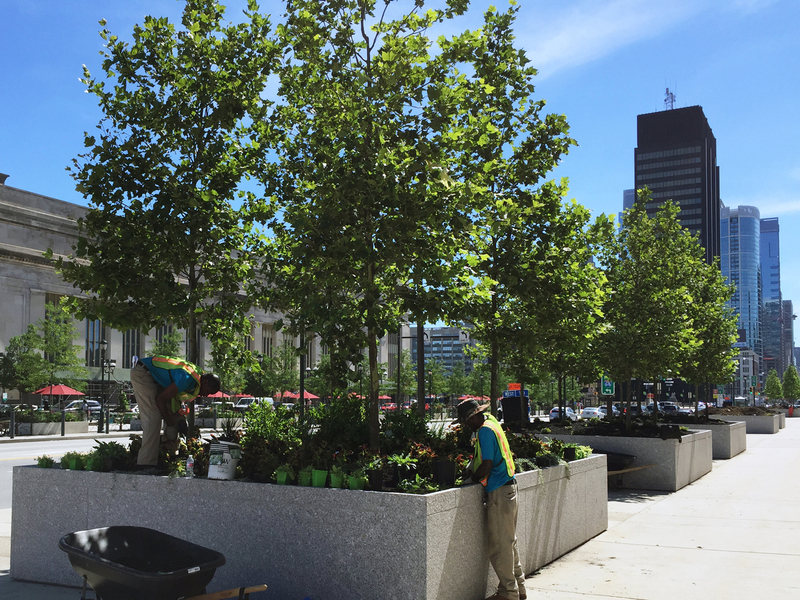 Green City Works installed plants in beds lining Market Street, outside of Brandywine Realty Trust’s IRS Building. 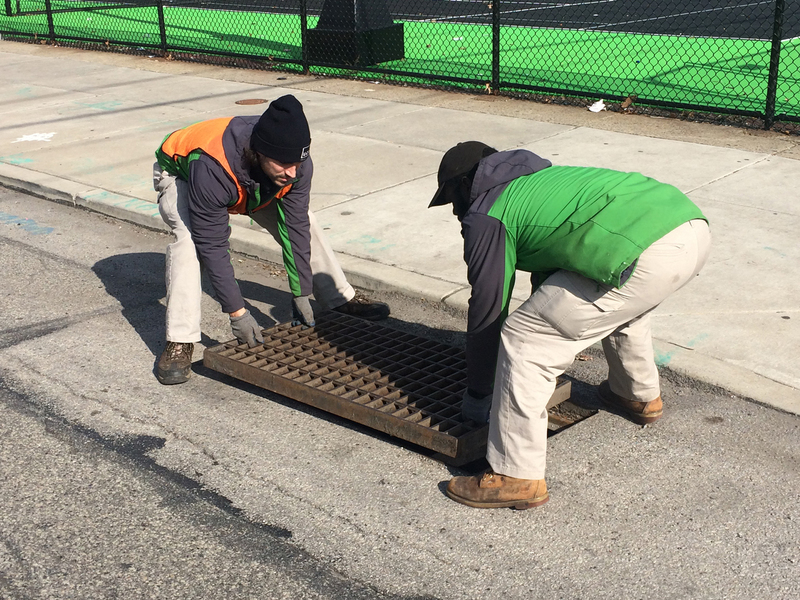 Green City Works conducts green stormwater infrastructure maintenance across the district. Green City Works installed and maintains all plants in 30th Street Station, including an eye-catching column planter designed to beautify the station before the 2016 DNC. Green City Works is responsible for keeping UCD’s flagship public space green and lush. Green City Works maintains the plants and structures that comprise UCD’s Market Street Bridge pedestrian improvements. 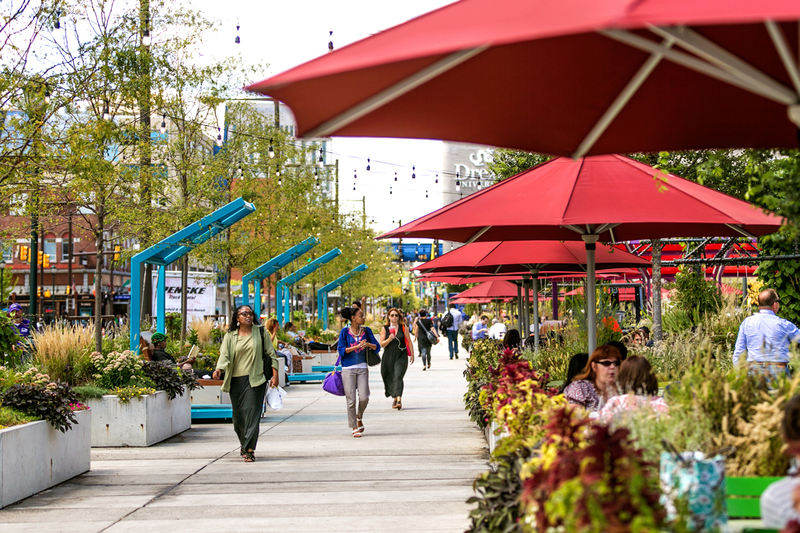 Green City Works installs and maintains the structures and plantings for UCD’s Parklets, which are out every year from April through November.